“My license was dated August 25, 1838, signed in behalf of La Grange Station by D. C. McLeod, P. E. of the Memphis District.” He further wrote: “I was twenty years and four days old.” He was admitted on trial by the Tennessee Conference at Huntsville, Alabama, near the close of the year 1838, and appointed Junior Preacher with E. I. Williams on the Paducah Circuit, Paris District. At the Conference held at Nashville in October 1889, he was transferred to the Arkansas Conference and at the session of that Conference he was appointed to Little River Circuit in Louisiana. This was a circuit of eighteen appointments and requiring a travel of 250 miles to make a round. Hard work, exposure and the malaria of the swamps brought on fever, which was so severe and so protracted as to break down his health and at the close of the year he was discontinued. He was admitted into the Louisiana Conference in 1850, having served for some time as supply while in the local ranks. He served the Beouff Prairie Circuit in 1851, the Harrisonburg Circuit in 1852, and located at the close of the year. He supplied the Centreville Circuit in 1859, the Dugdemona Circuit in 1861. He was readmitted at Alexandria, December 1861 and served the follow-ing charges: Columbia, 1862.63; Centreville, 1864,65; Columbia, 1866; Columbia and Harrisonburg, 1867, Harrisonburg, 1868 and 1869; Centreville, 1870; Trinity, 1871. He was made superannuate at the close 1871. Made effective in 1884 and appointed to the Centreville and Jena Circuit. His failing strength was not sufficient to stand the strain of pastoral work, and he was again placed on the superannuate list in 1855 and held that relation until his death. He was ordained deacon by Bishop Payne at Mansfield, December 19, 1858, and Elder at the same place in December, 1865. 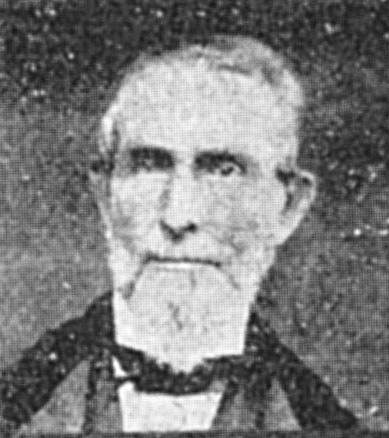 He was twice married, first to Miss E. A. Jeffries of Rapides Parish, in July 1841. She died in September1866. His second wife was Mrs. Aber, nee Davis, a niece of Bishop Morris, a worthy and loving helpmate, and she survives him. On Nov. 24, 1920, at 11 p. 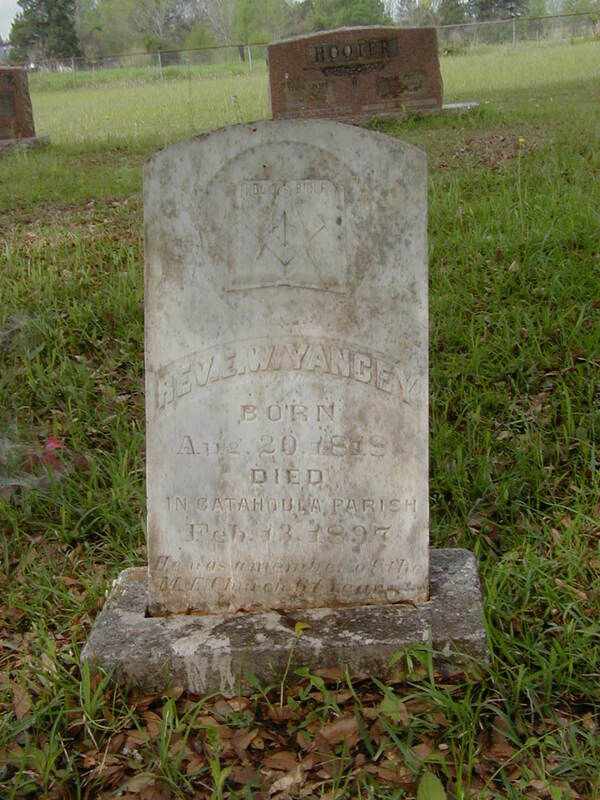 in., Sister E. W. Yancey died at the home of her son, Walter Yancey, of Summerville, La., and was buried in the Summerville cemetery. She was almost an invalid for two years. While her passing was not unexpected, it was still a great shock to her relatives and friends. Sister Yancey was born March 27,1837, and was married to Dr. Aber in 1853, and eight children were born of this union. She later married Rev. E. W. Yancey, a minister in the M. E. Church, South, and there were four children of this union. She was the mother of twelve children, nine of whom are living, and a host of grandchildren and great-grandchildren are living to morn her death. Sister Yancey was a devoted Christian, always loyal to her vows and to God and her church. 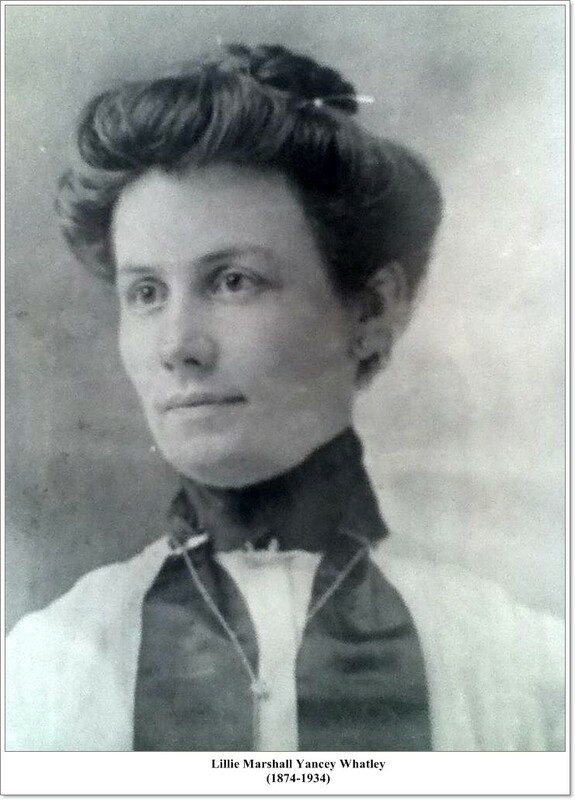 She joined the Methodist Church and began a Christian life early in life, and lived a life of service and self-denial for her Master and her fellow men. She was never happier than when doing something to make others happy. She always thought of others, rather than herself, even to her last days on earth. She was kind and good to everyone. She loved her church, and was always in attendance when able to be there. My first introduction to her was in the parsonage on my first work immediately after my arrival. She came with a basket full and a smile on her face and extended unto me a hearty welcome, and as the days went by I found her to be the most helpful person I ever knew, and she never tired of her kindness and appreciation of the preacher and his family. This is but a brief sketch of one who belonged to that faithful, sacrificing company of godly women, who through weary years went hand in hand with the ministers of our church. To receive these men of God into her home and provide for their comfort -was one of the joys of her life. During the later years of her life, remembering, no doubt, the deprivations she had undergone as a preacher’s wife, she inaugurated a movement by which these faithful wives -and mothers of the parsonage home, should be in some small measure remembered -for their service. These and other like services and sacrifices she made in the Master’s name, to those who knew her so well, are like ointment poured for the filling all the wide room of memory with its lasting fragrance. Source: Journal Louisiana Conference of the Methodist Episcopal Church, South, 1921, page 77, by D. C. Barr. Land Records, E.W. Yancey to Mrs. A. Yancey, LaSalle Parish, La. We, the undersigned heirs of E.W. Yancey, deceased have this day sold to Mrs.
NW 1/4 of NE 1/4, Section 21, Township 9 North, Range 3 East 39. 98/100 acres, with all buildings and improvements. Witnesses: J.J. Mixon, Thomas Rhinehart, A.J. Yancey, Rufus Bennett, Uriah T.
his 2nd wife, Abigail are buried in the Summerville Cemetery. A.M. Arnold - husband of Isadora V. Yancey.